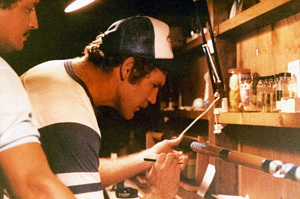 When the late Bob Batson started building custom rods in his living room in 1980, it marked the start of a new era for the Batson family name. As an avid fisherman, he was motivated by his angling passion to create fishing rods of unsurpassed quality and craftsmanship. From these humble beginnings, the company grew to become Batson Enterprises in 2000. Currently run by Bob’s son, CEO Bill Batson, our company is blessed with non-stop growth. We are fortunate to be one of the largest wholesale rod blank and component suppliers in the United States. Our clients range from individual rod builders to huge global companies. Batson is steeped in fishing and rod building experience and has compiled one of the finest groups of professionals under one roof. This enables us to effectively meet the needs of this broad customer base. Merging our knowledge, integrity, innovation, passion, superior customer service, and unbeatable quality, we are able to provide our customers with the service and quality products this industry has come to rely on.